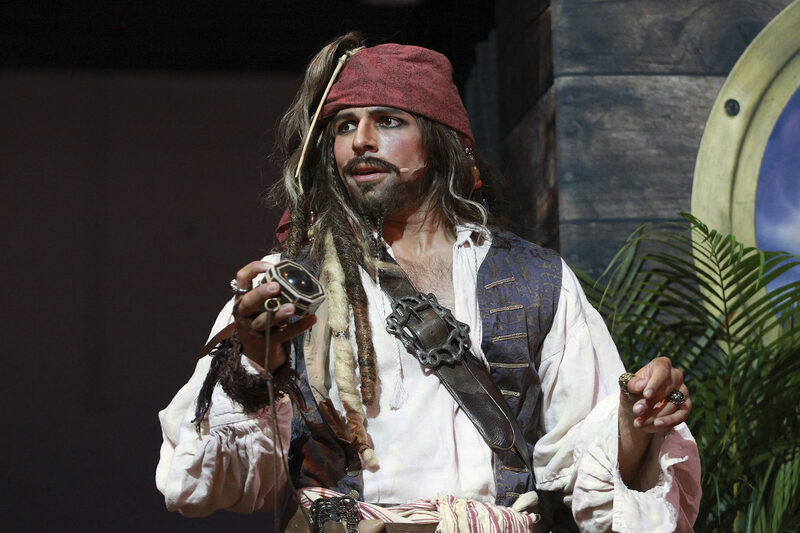 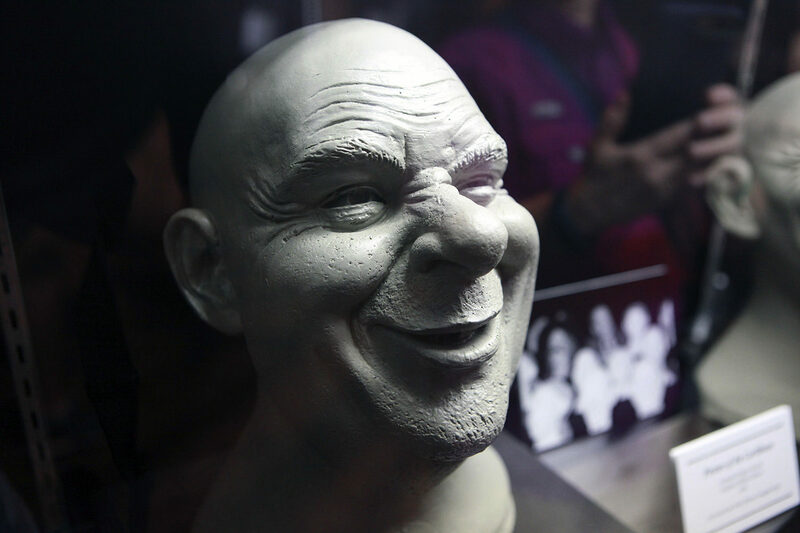 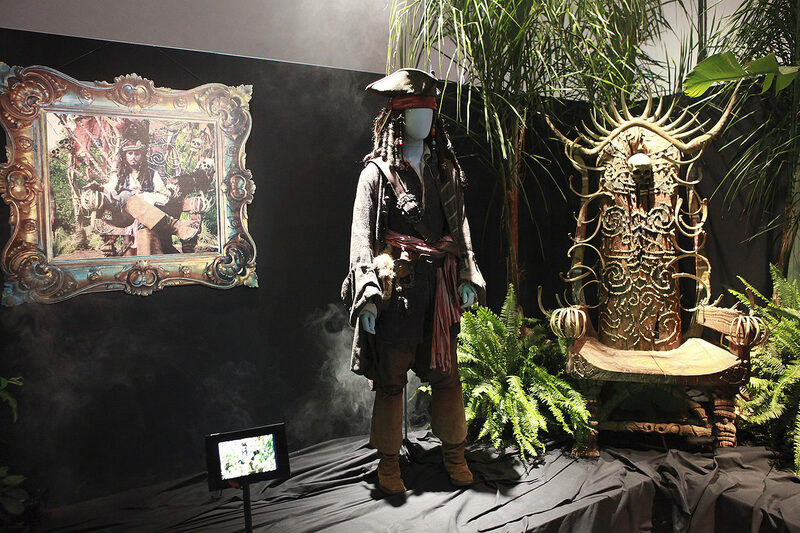 It’s been over fifty years since the very first guests heard that bit of dialogue after boarding Disneyland’s Pirates of the Caribbean attraction and what began as Walt’s idea for a Pirate walk-through has turned into one of the company’s largest franchises that released a fifth film this year and saw the opening of the fifth version of the ride just last year in Shanghai. 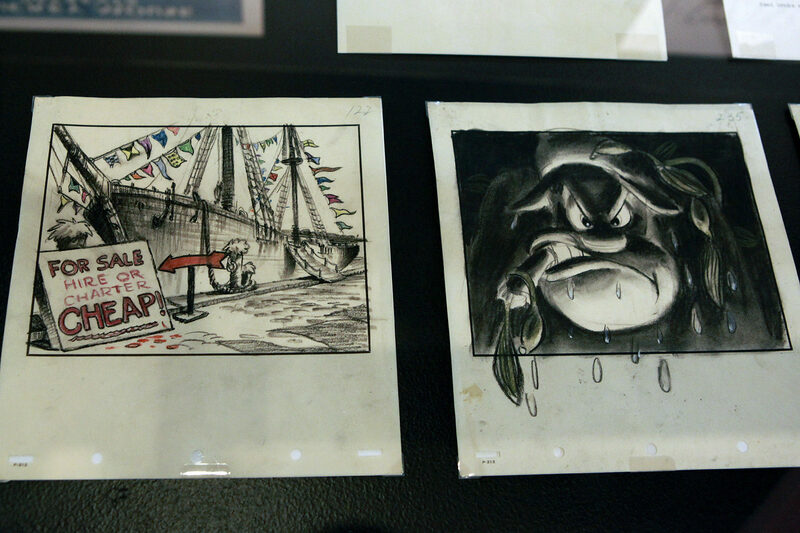 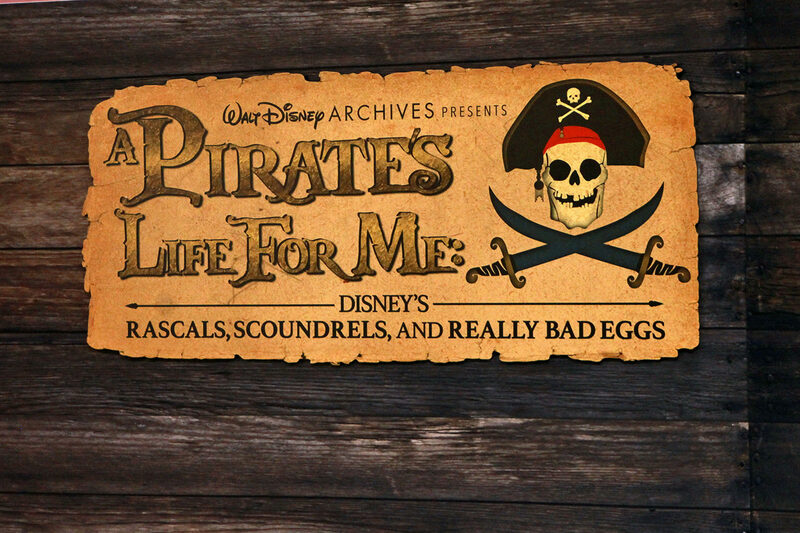 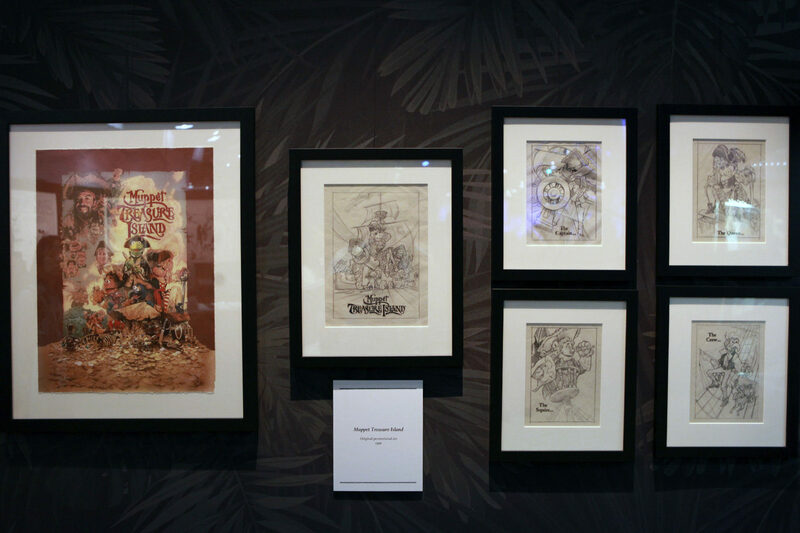 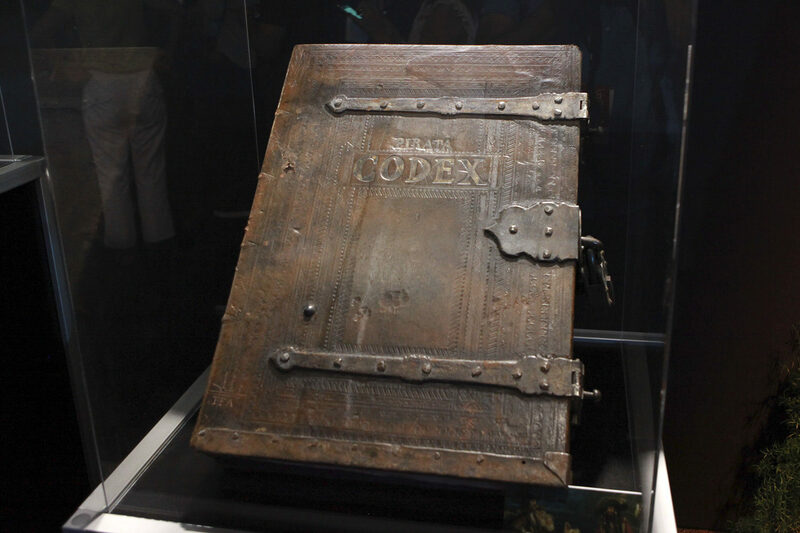 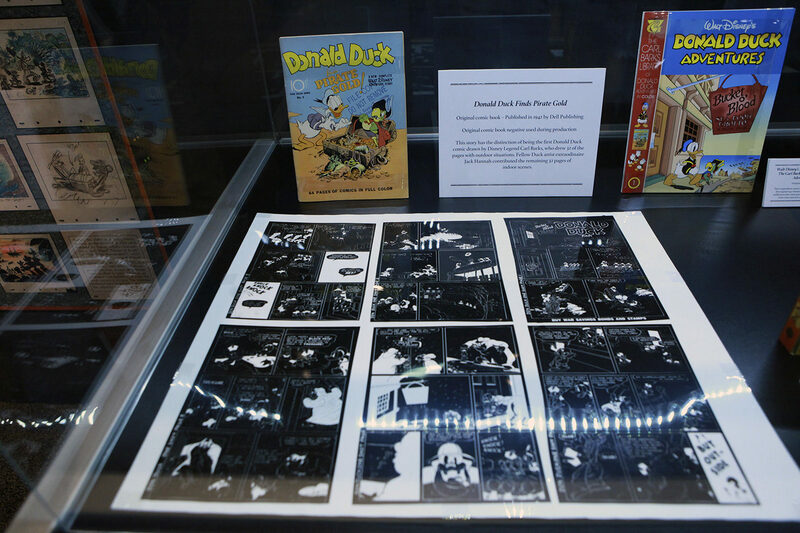 With all that much new Pirates activity, and even more suspected for the future, it was fitting that the D23 Expo (now a month ago) gave attendees a peak into the walt Disney Archives in A PIRATE’S LIFE FOR ME: DISNEY’S RASCALS, SCOUNDRELS, AND REALLY BAD EGGS. 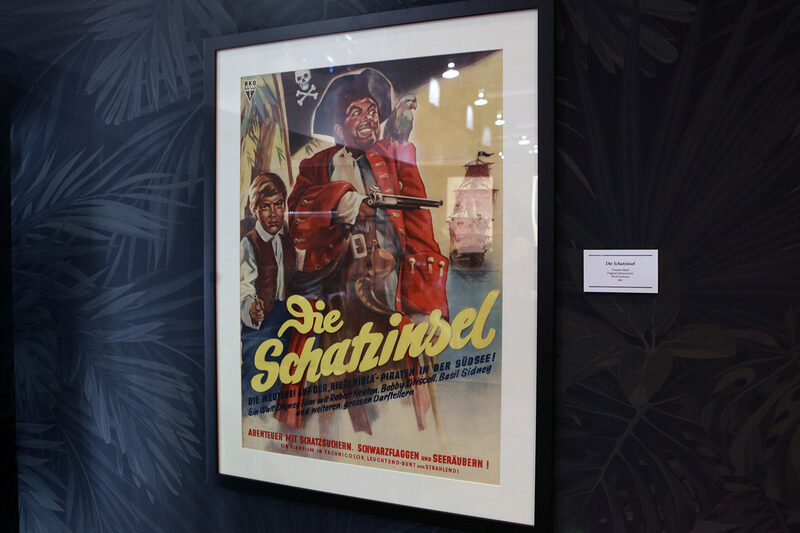 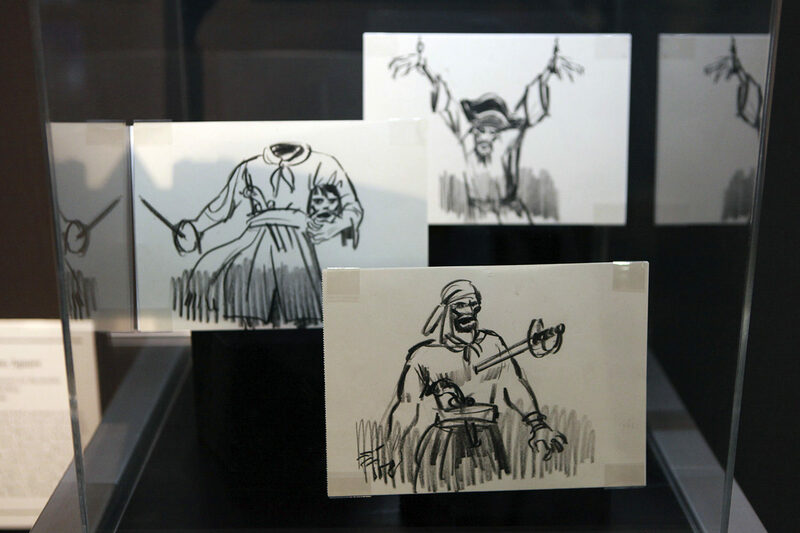 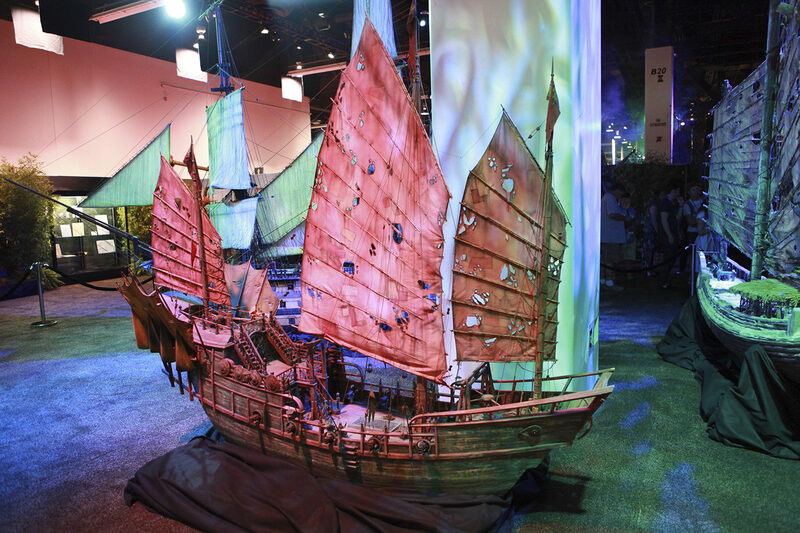 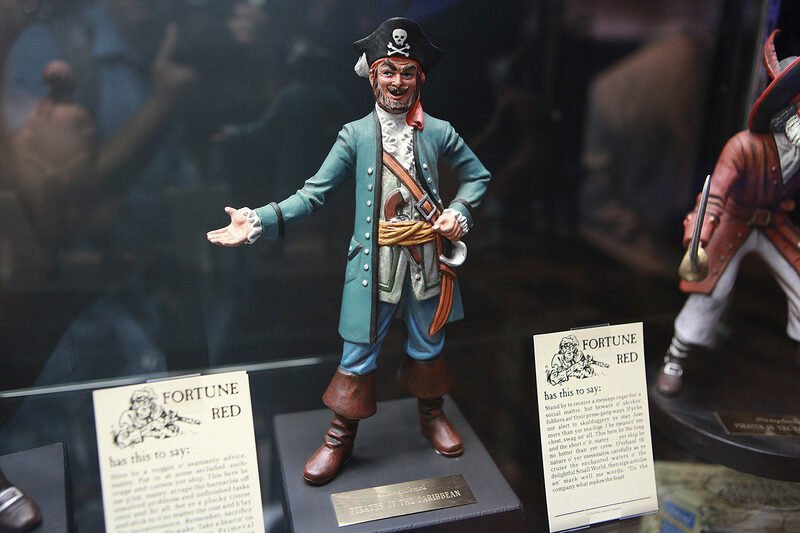 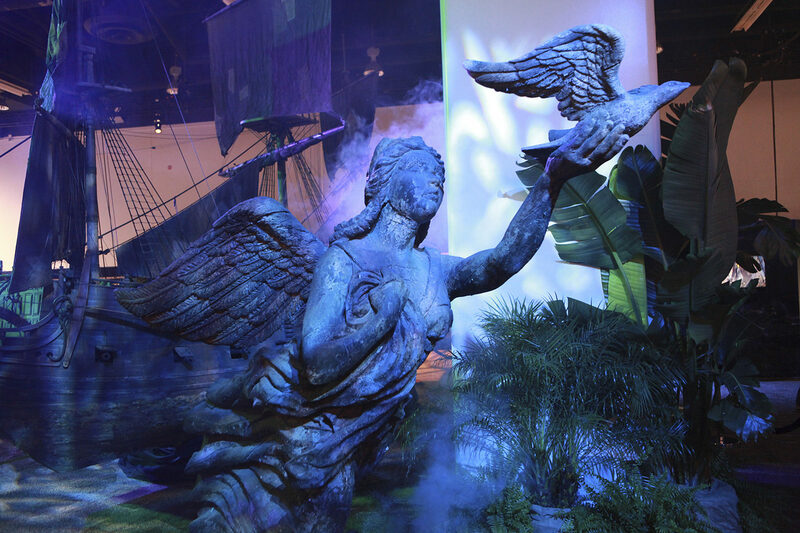 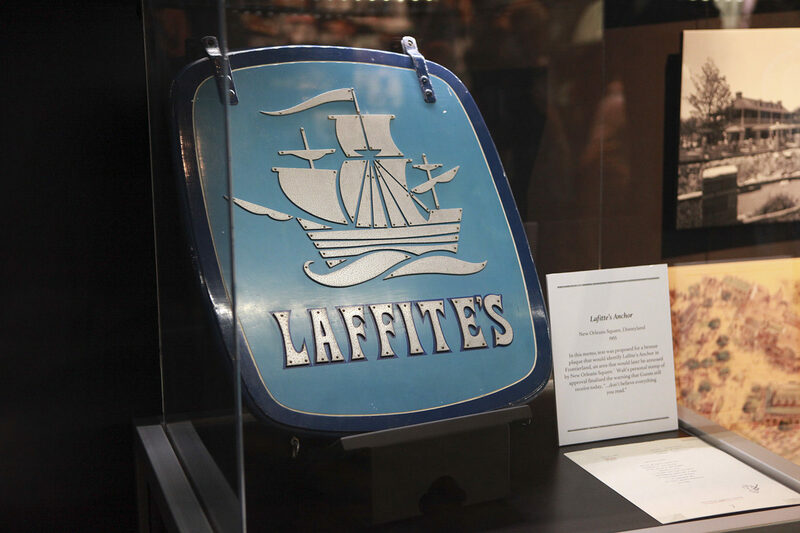 This exhibit covered all grounds, from Walt Disney’s earliest fascination with Pirates in film and cartoons, to the creation of the ride, all the way to the films and television shows seen today. 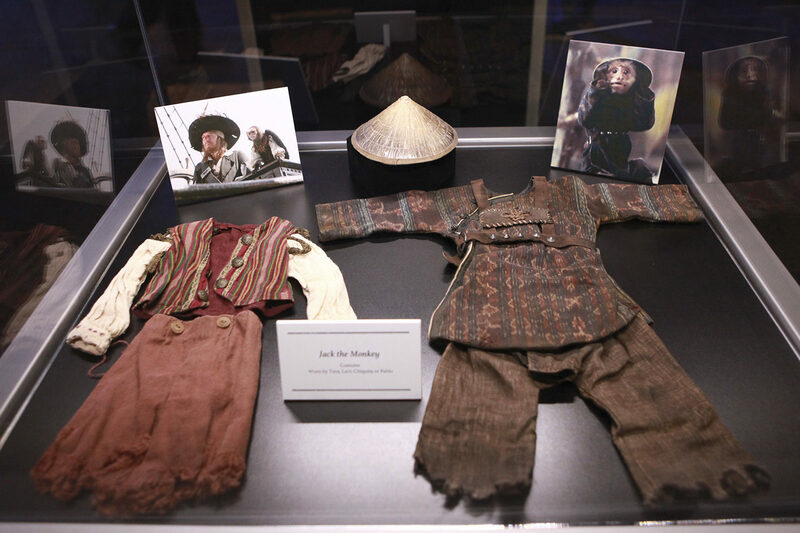 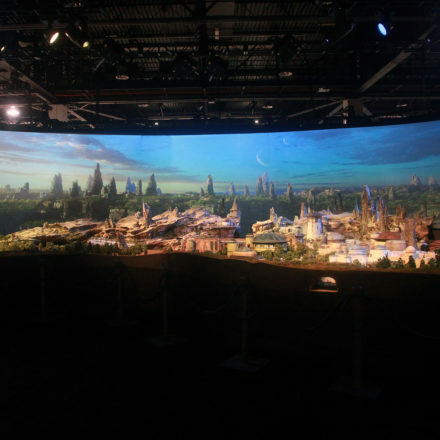 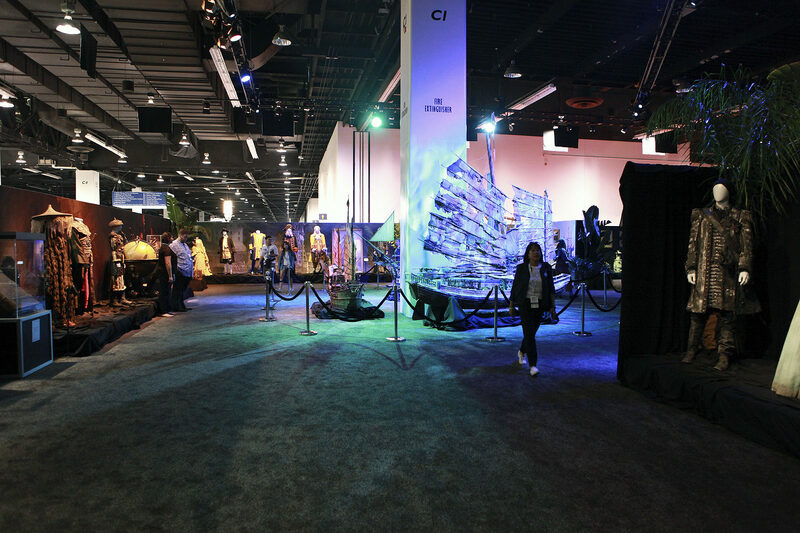 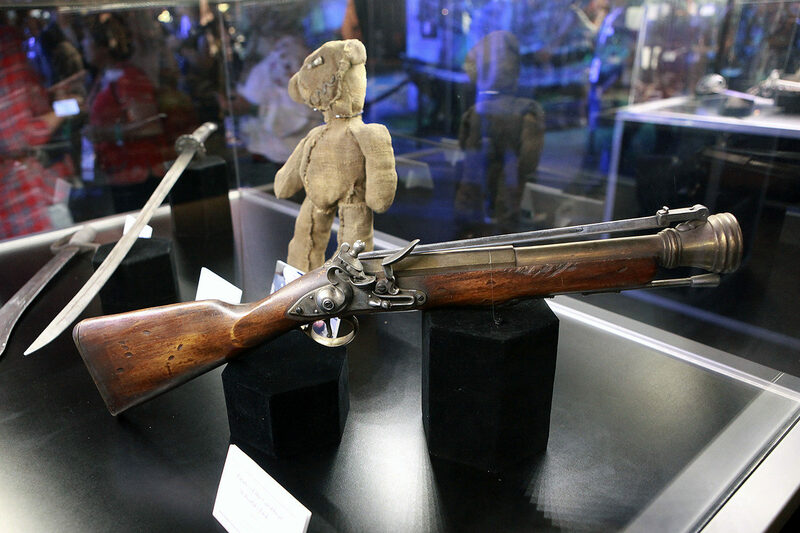 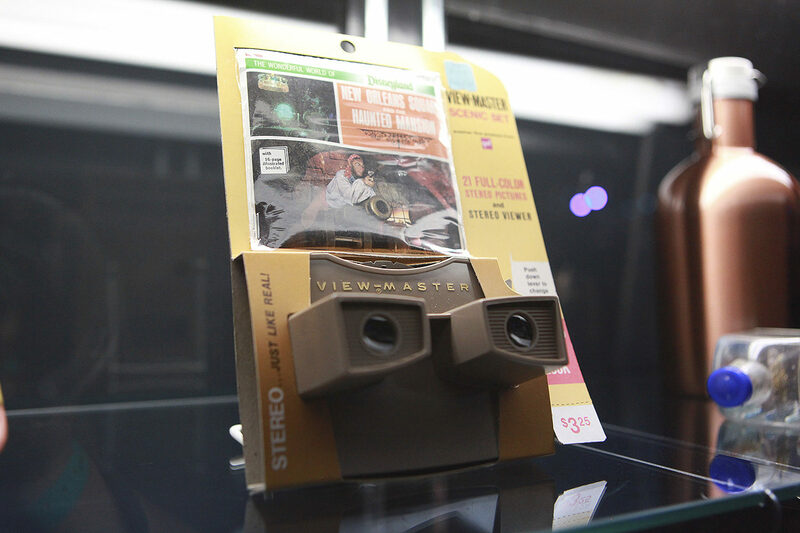 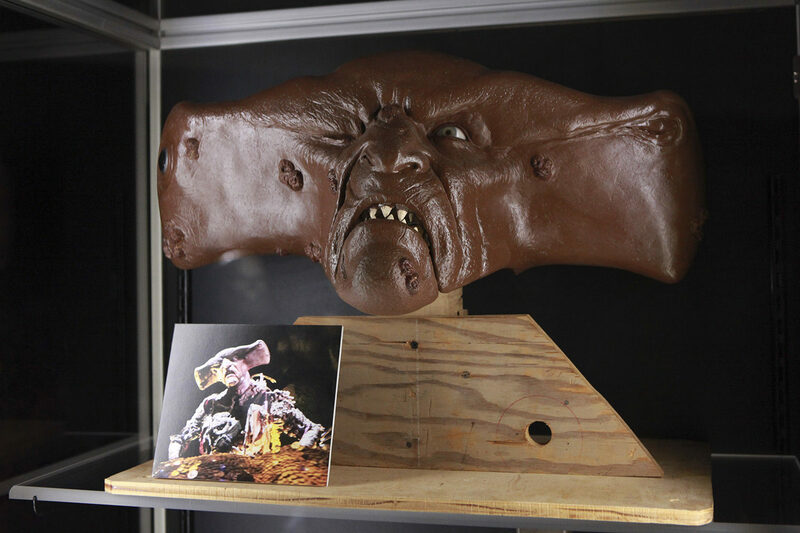 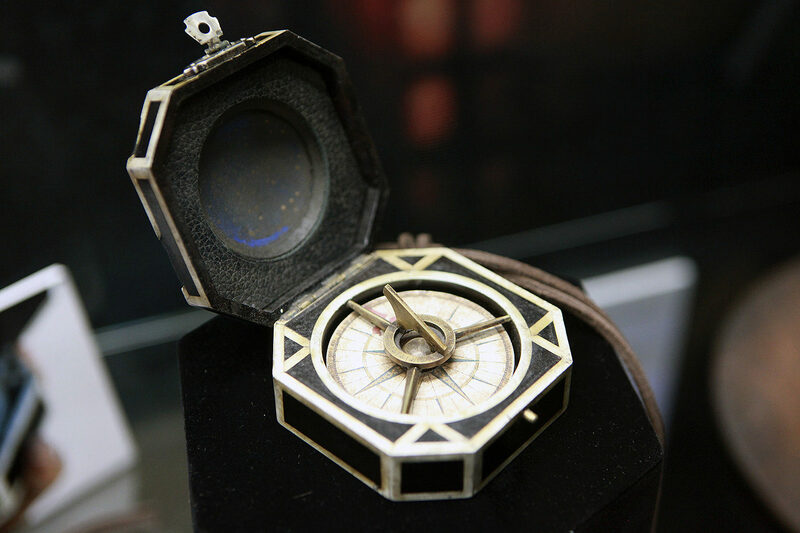 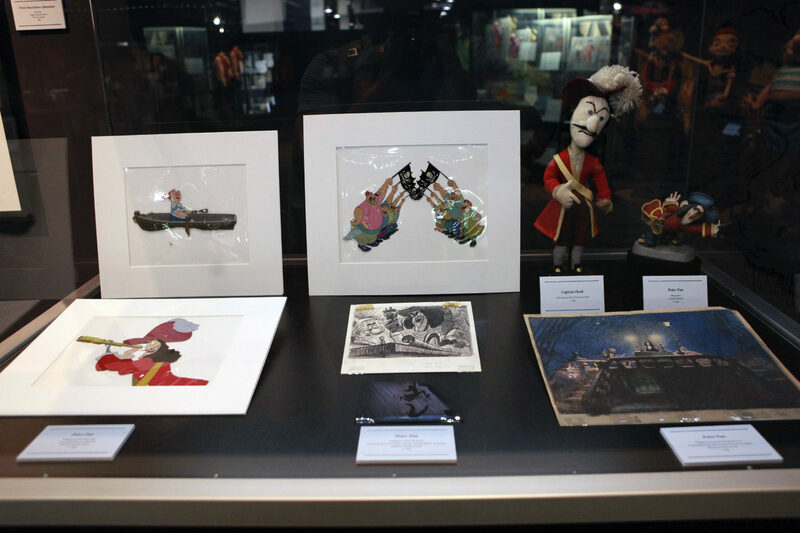 If you weren’t able to see the archive at the D23 Expo, join us as we enjoy some of the highlights from the incredible exhibit. 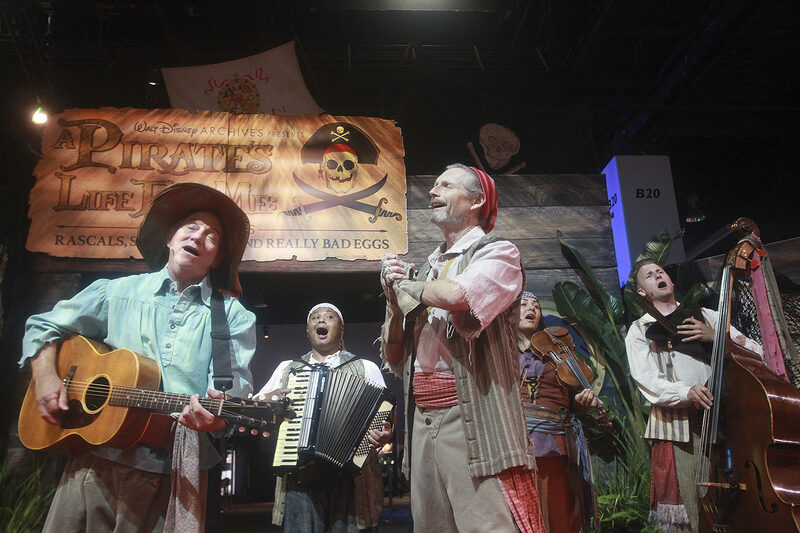 At the media preview, attendees were treated for a few songs by the Bootstrappers, followed by an appearance by Captain Jack Sparrow, inviting us into the archives. 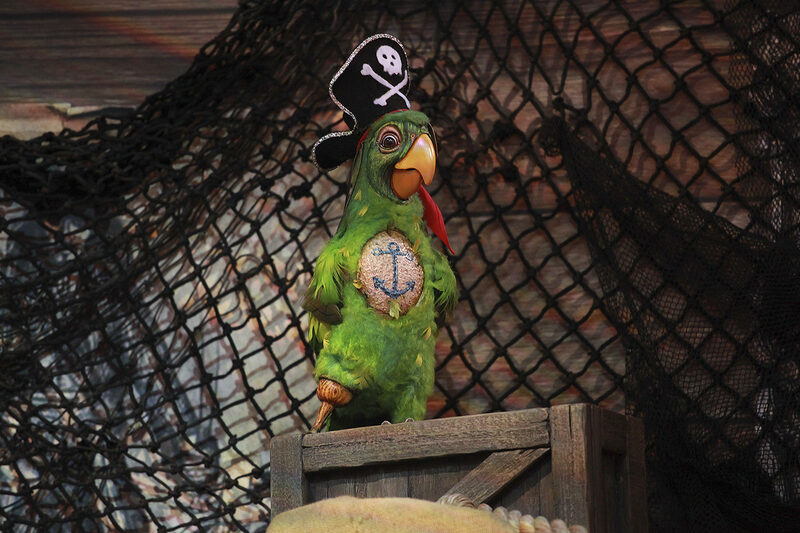 Just out front of the exhibit is a peg-legged Parrot animatronic. 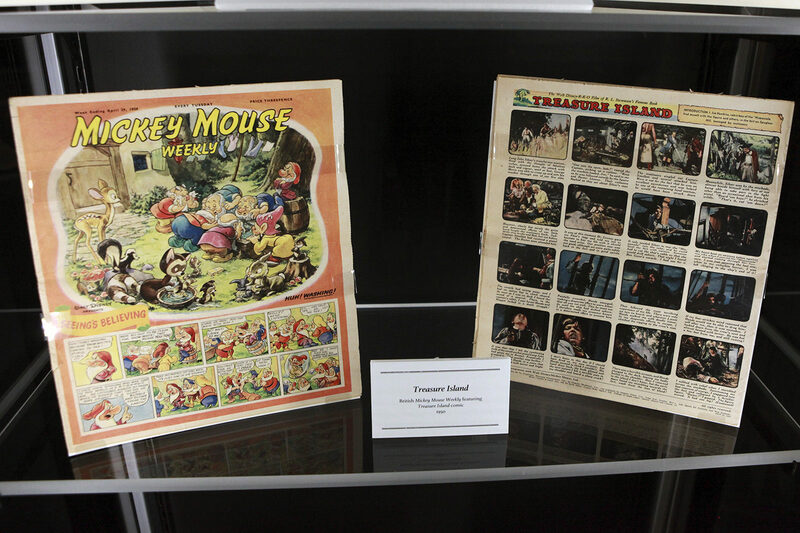 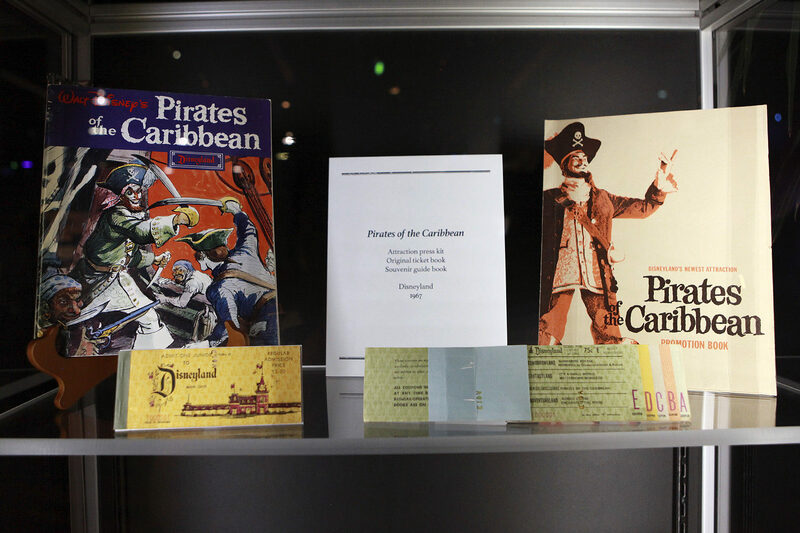 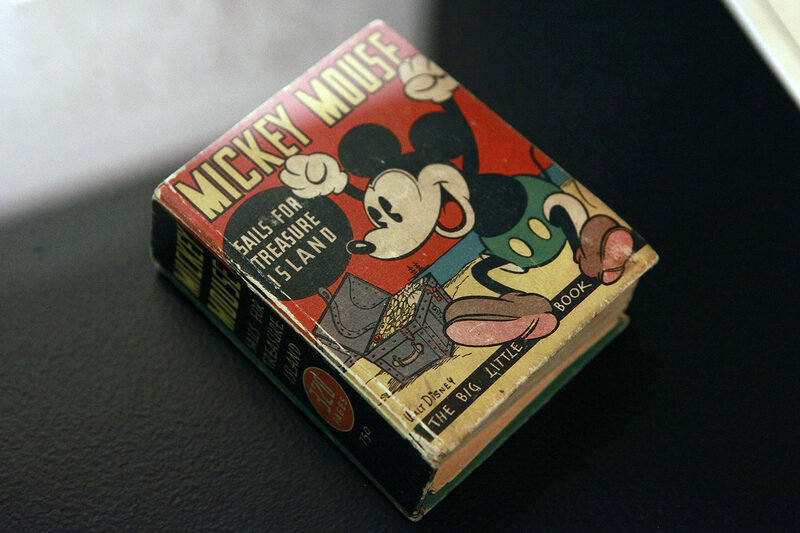 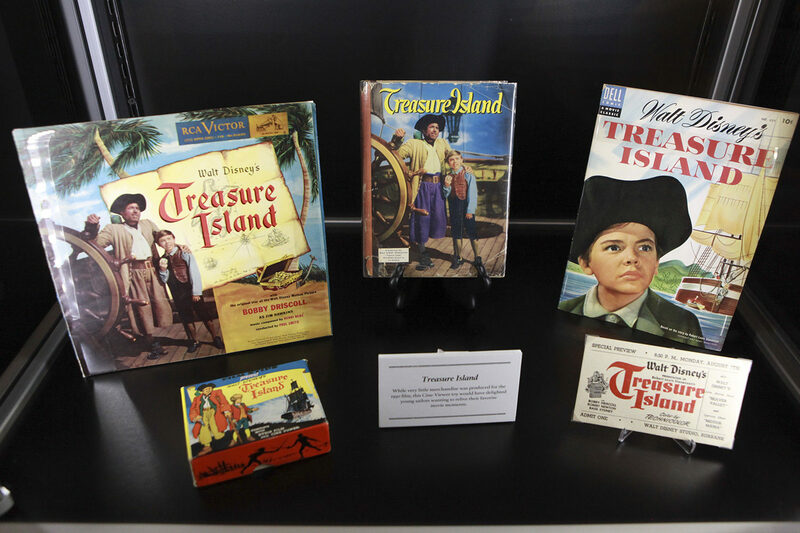 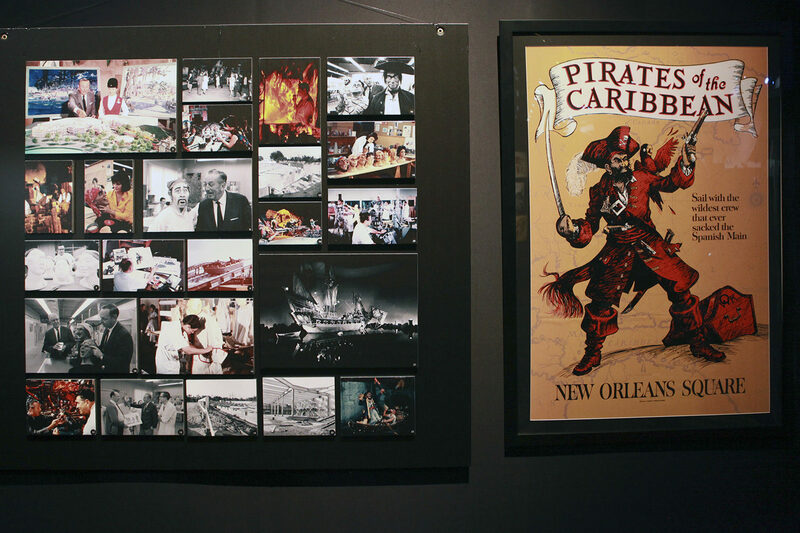 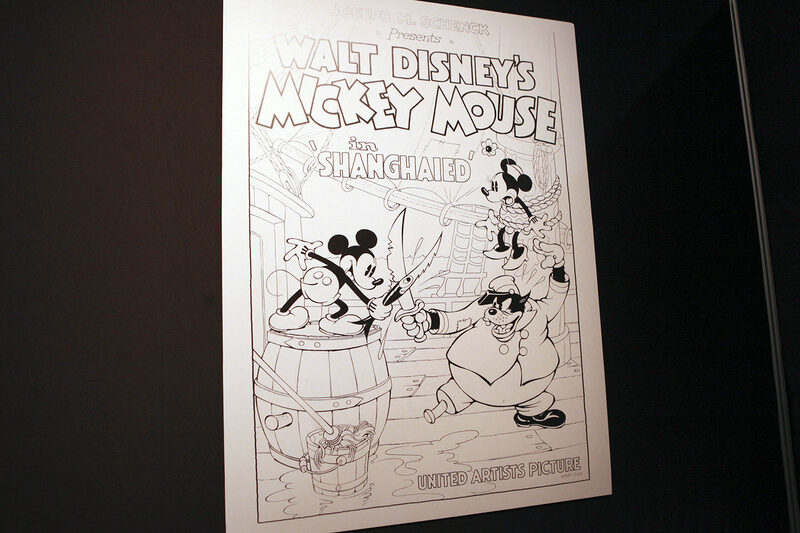 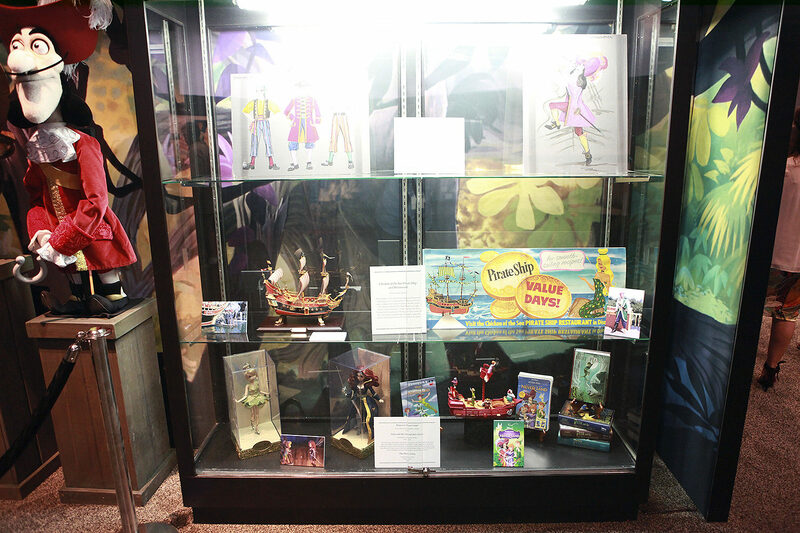 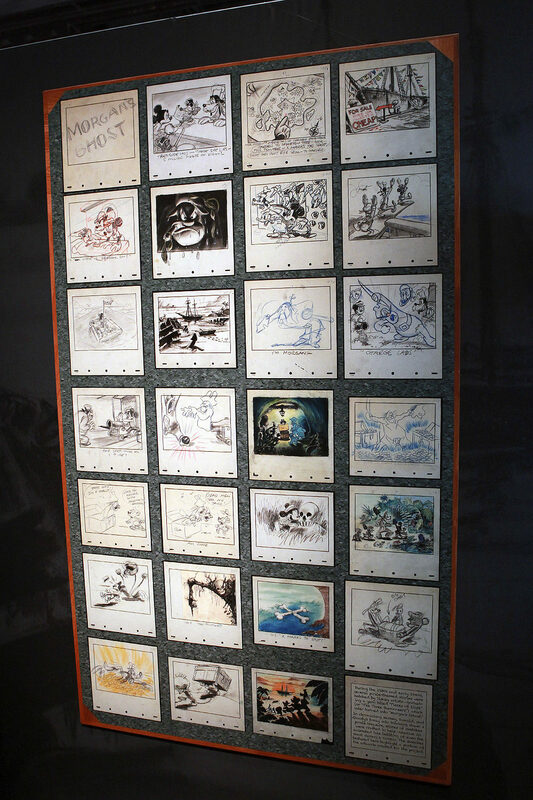 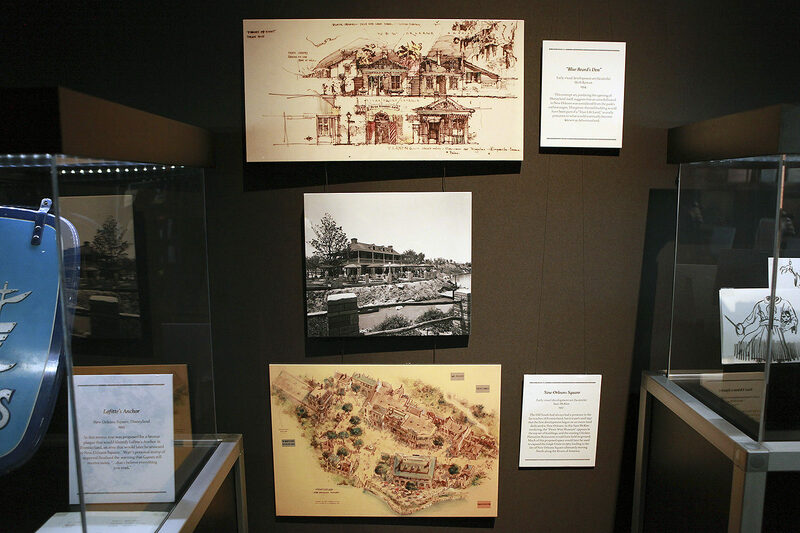 The exhibit begins with Walt’s own fascination with pirate-themed stories in his projects, stemming all the way to the Alice Comedies and the classic Mickey Mouse and Donald cartoons and comic strips. 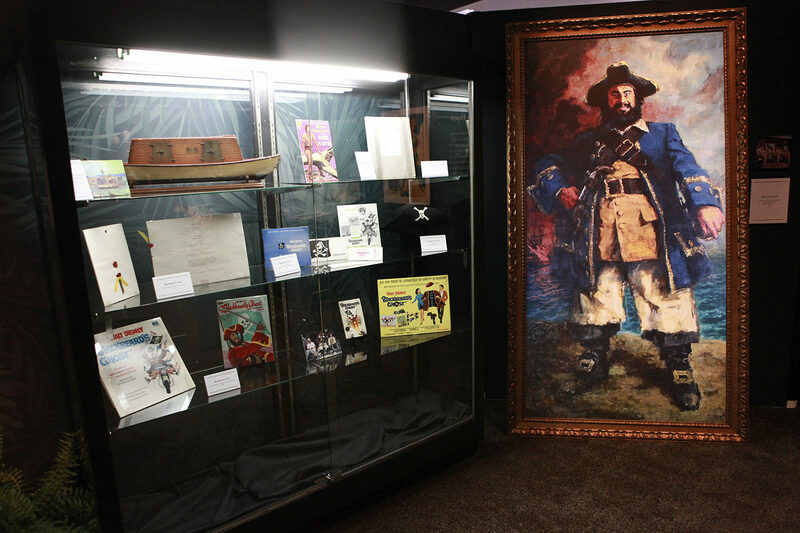 We transition from animation to live action, as Treasure Island is the first live action film from Walt Disney Productions, and the rest as they say is history. 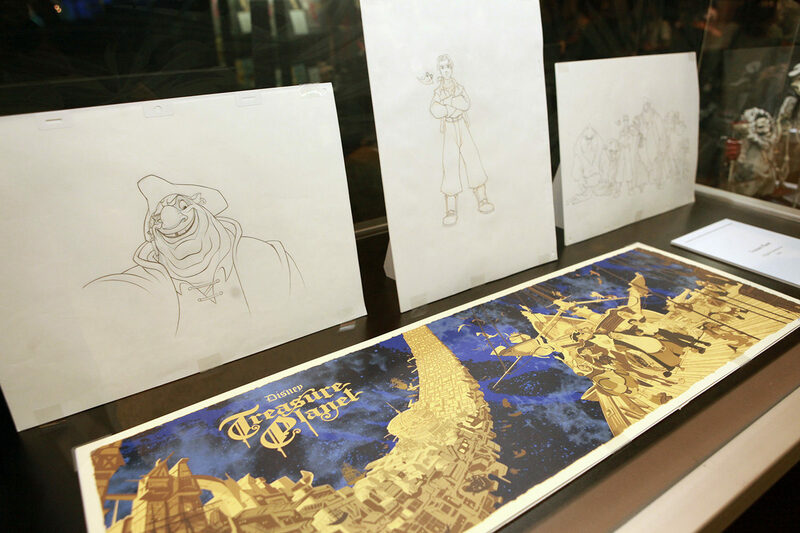 We’ll also see conceptual art for Muppet Treasure Island and Walt Disney Animation’s Treasure Planet, loosely themed on Treasure Island. 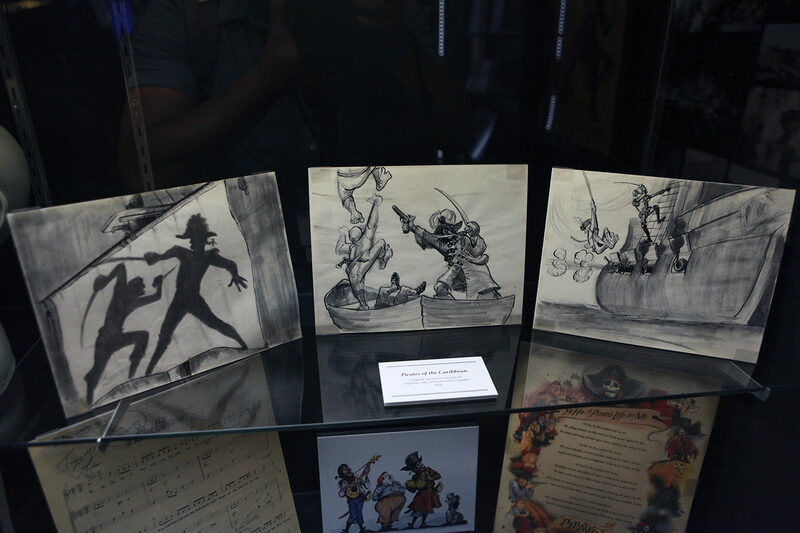 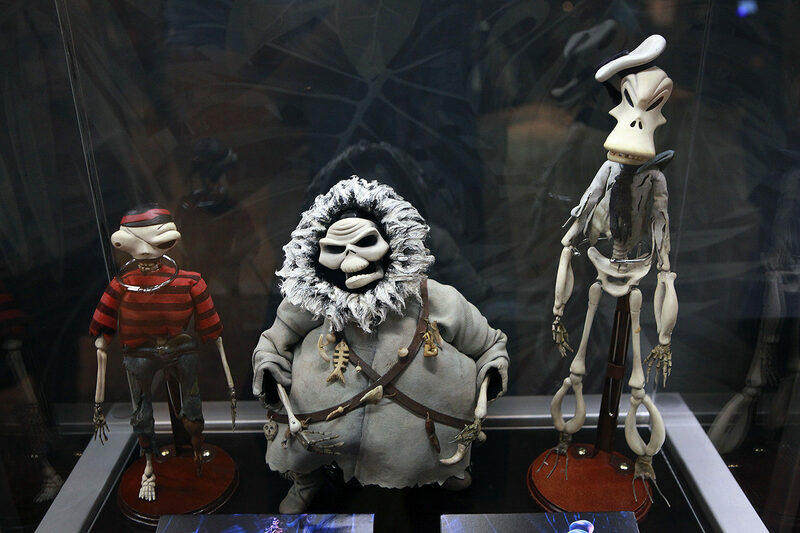 Underwater pirates appeared in Disney’s stop-motion animated film, James and the Giant Peach. 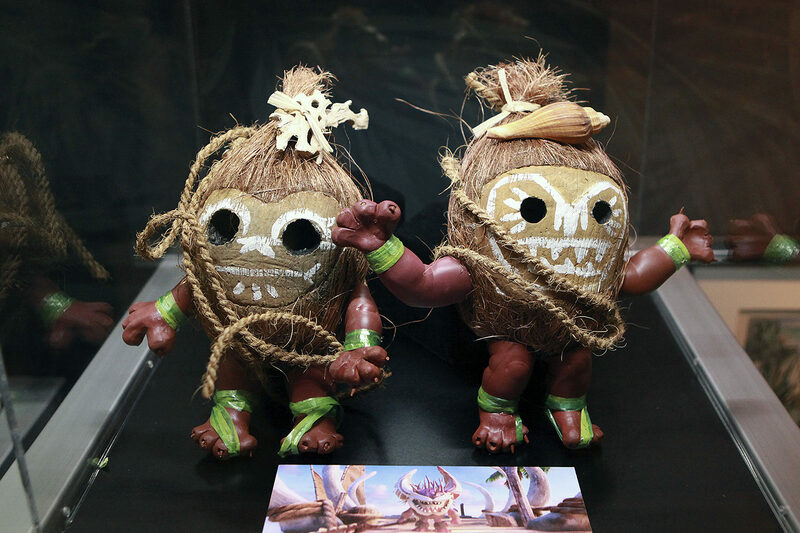 Pirating came in the form of adorable coconuts in Disney’s Moana. 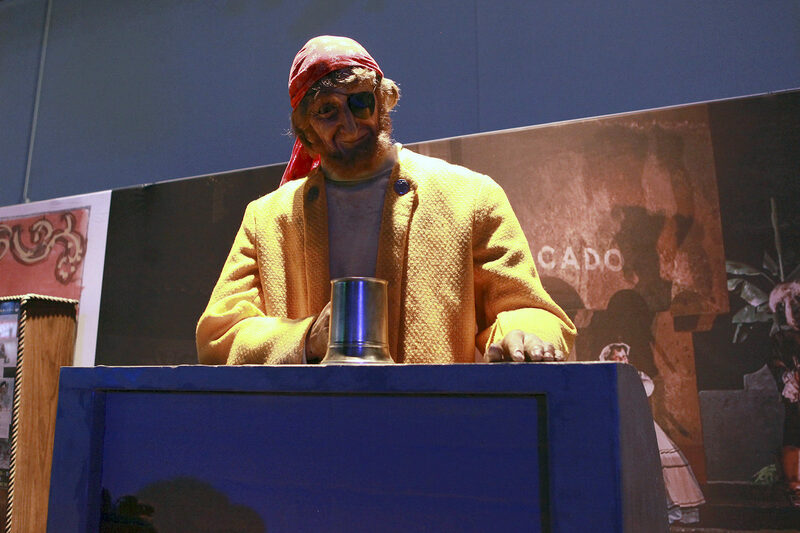 The Kakamora. 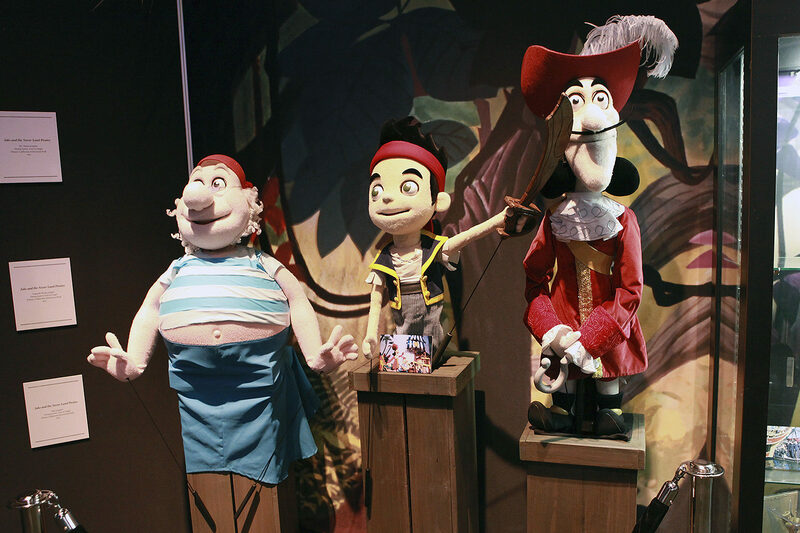 Of course, one of Disney’s most popular animated villains is Captain Hook, who has appeared film, rides, shows, and even Disney Junior. 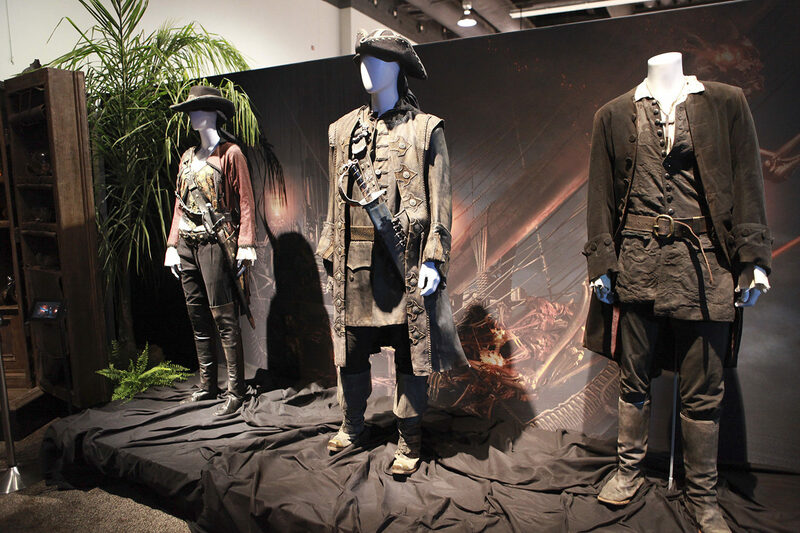 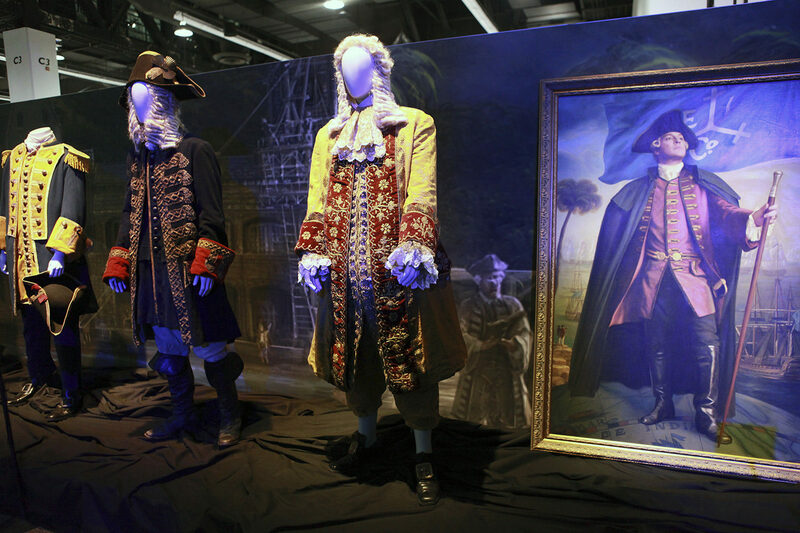 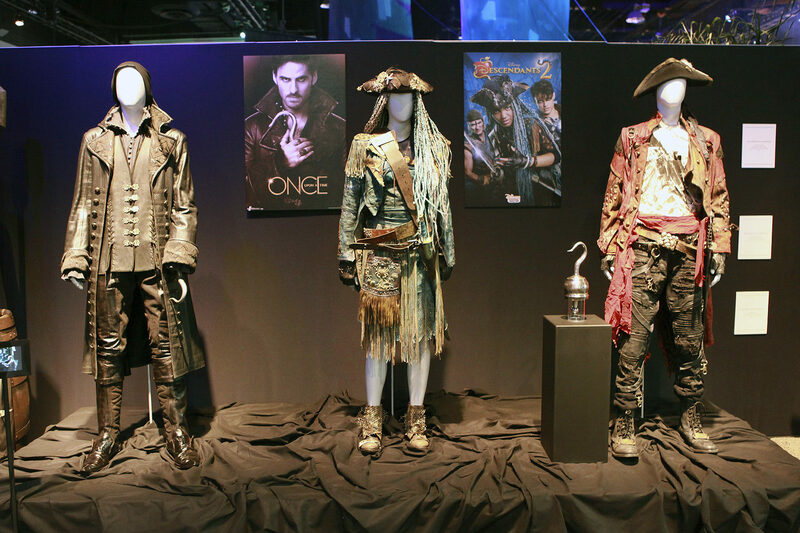 Pirate costumes in ABC’s Once Upon a Time. 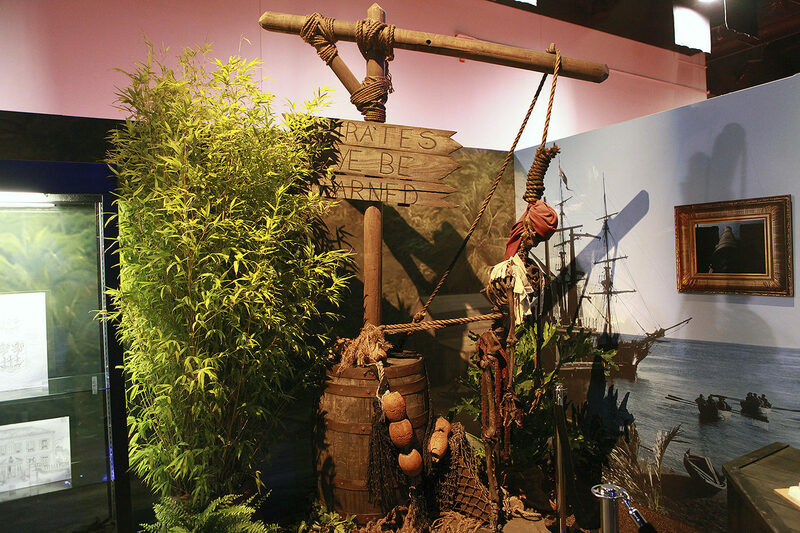 Lafitte’s Anchor, located in Frontierland in what eventually became New Orleans Square at Disneyland. 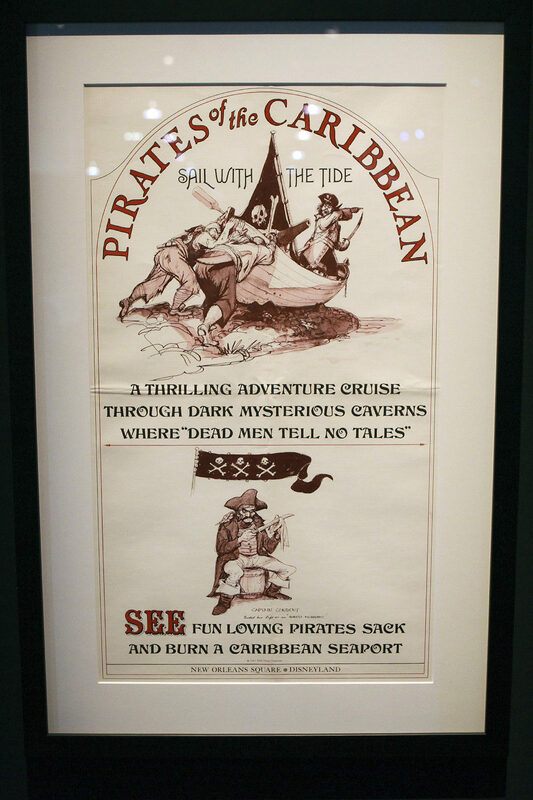 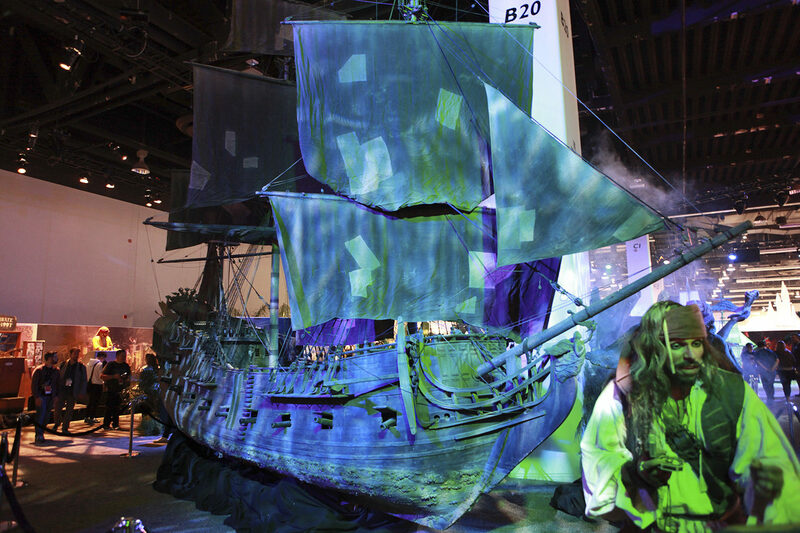 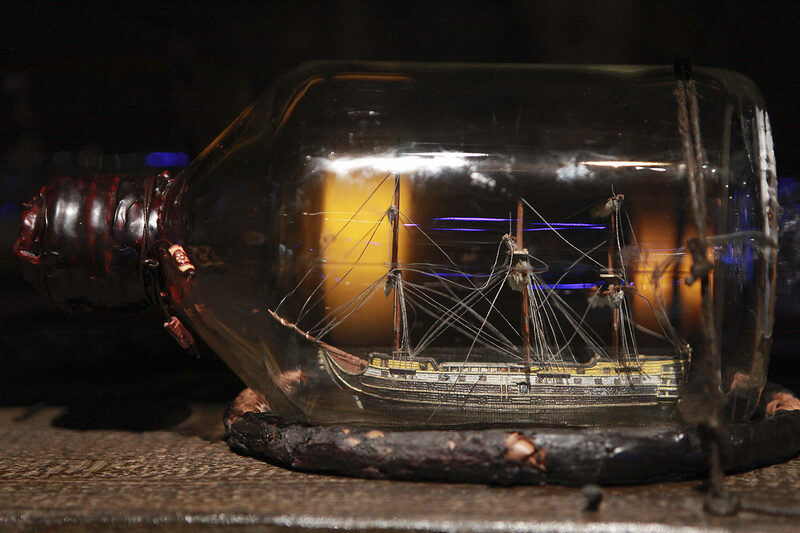 A great deal of the exhibit of course owes itself to the incredible ride, Pirates of the Caribbean. 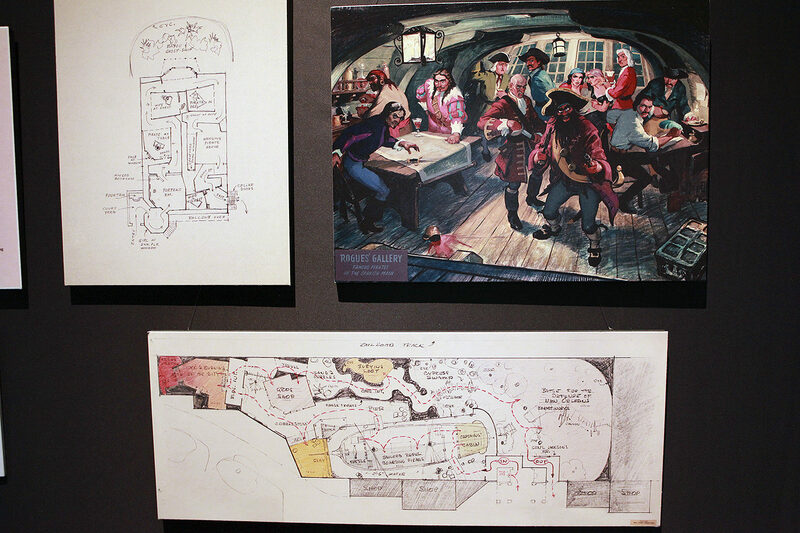 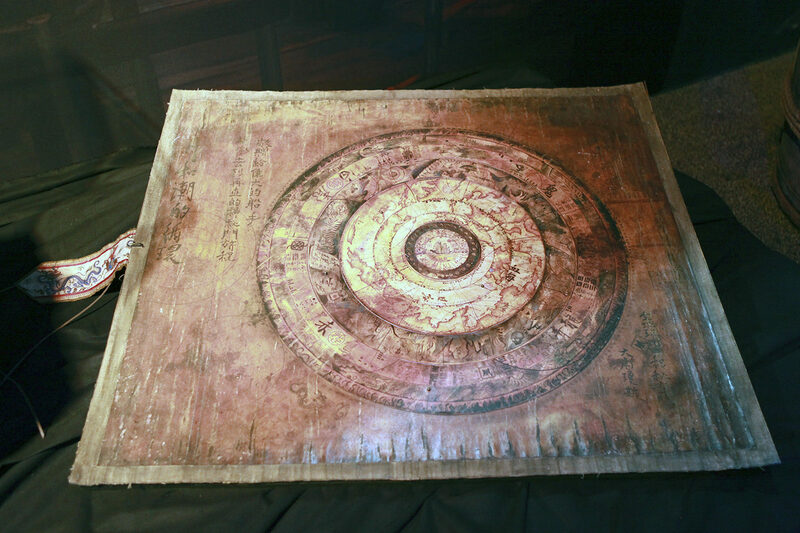 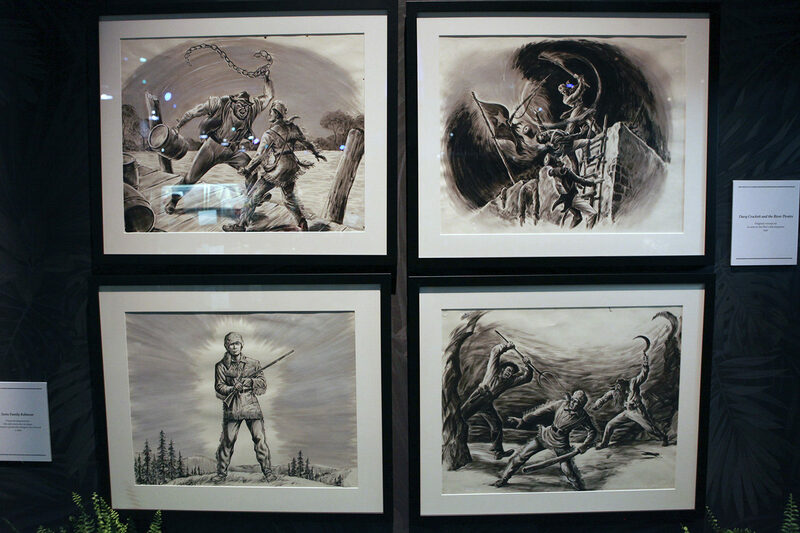 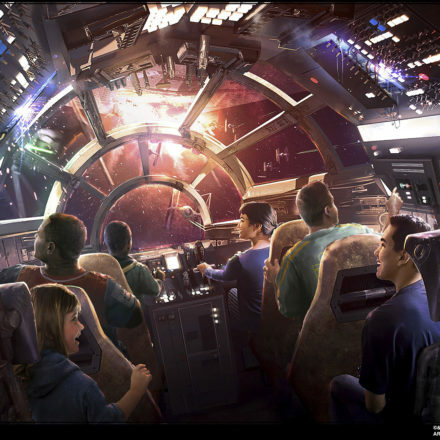 Here we see conceptual art for the ride itself, the ride layout, sculpted busts, and many more. 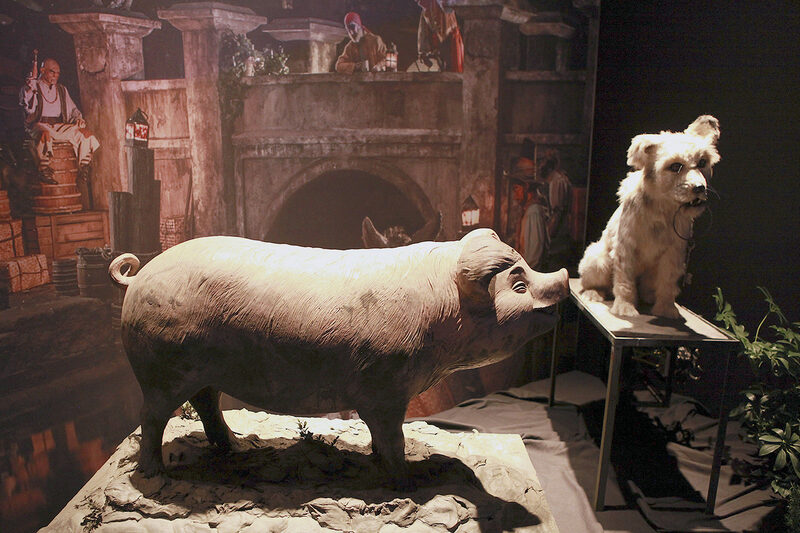 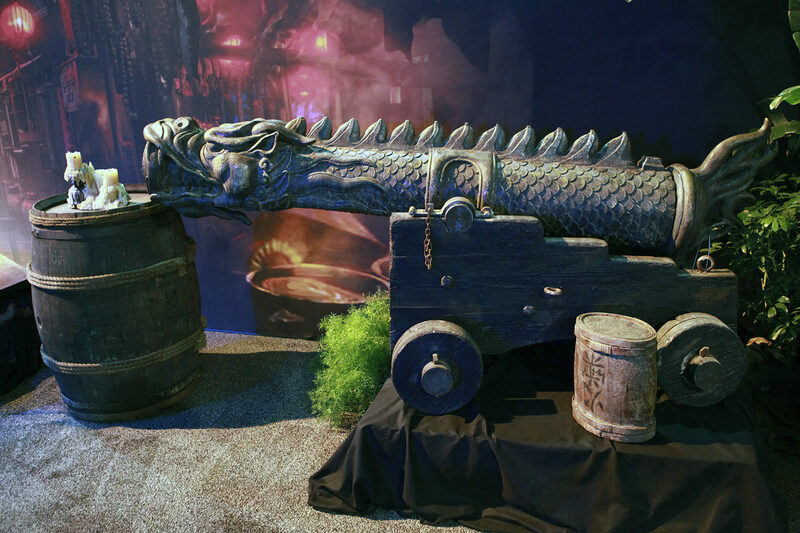 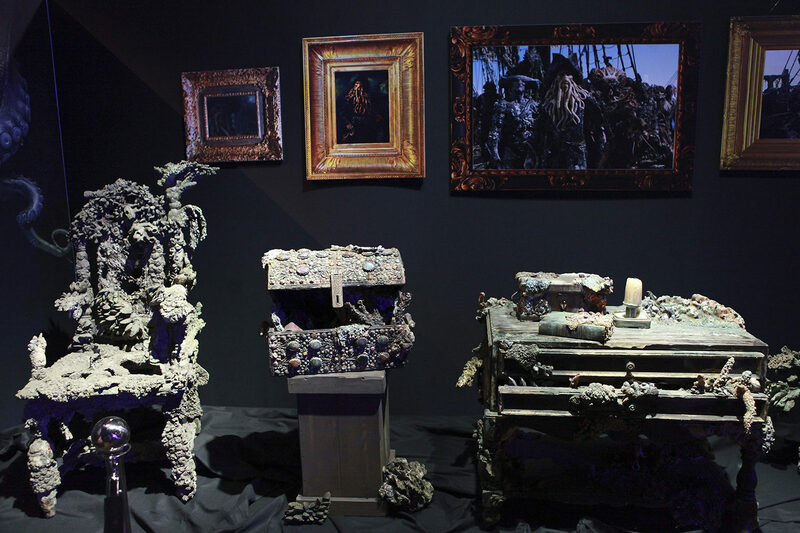 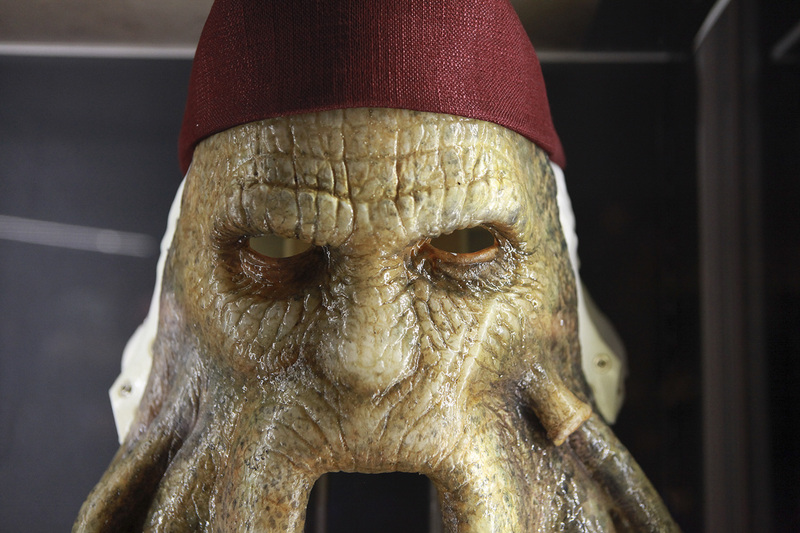 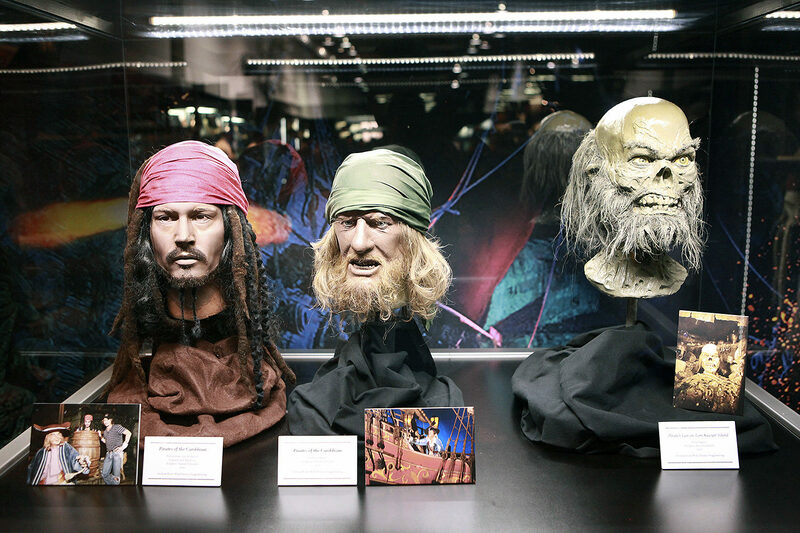 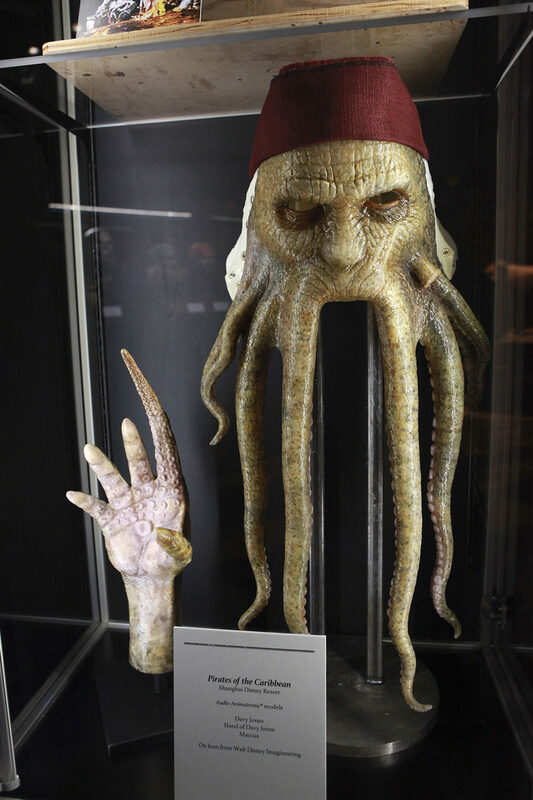 With the popularity of the new film franchise starring Johnny Depp, Geoffrey Rush, and Bill Nighy, busts were created for new animatronics for the ride here at home and in the all-new Shanghai’s Pirates of the Caribbean Battle for the Sunken Treasure. 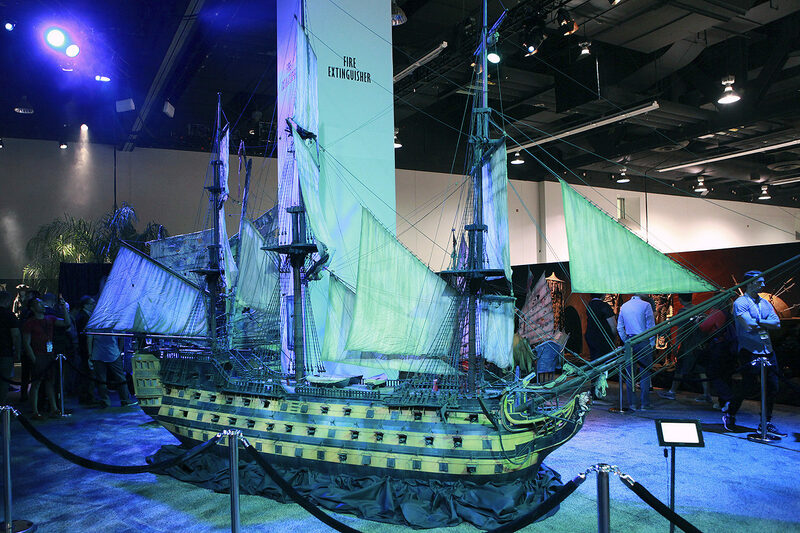 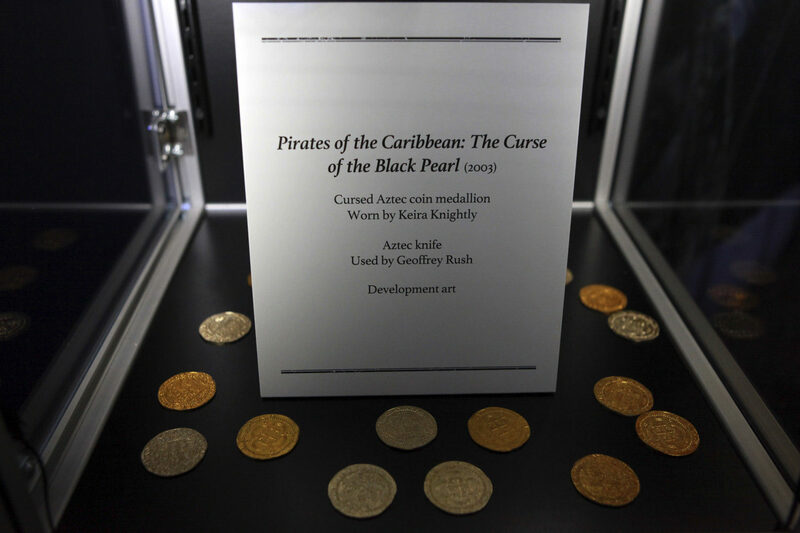 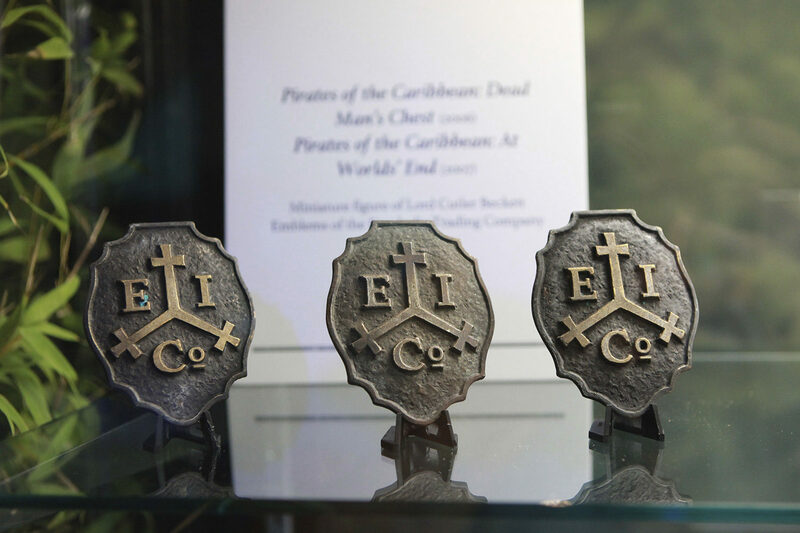 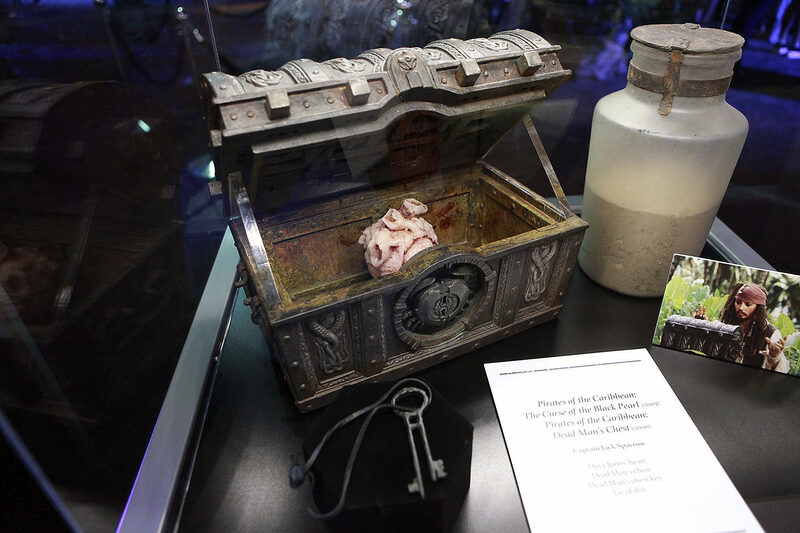 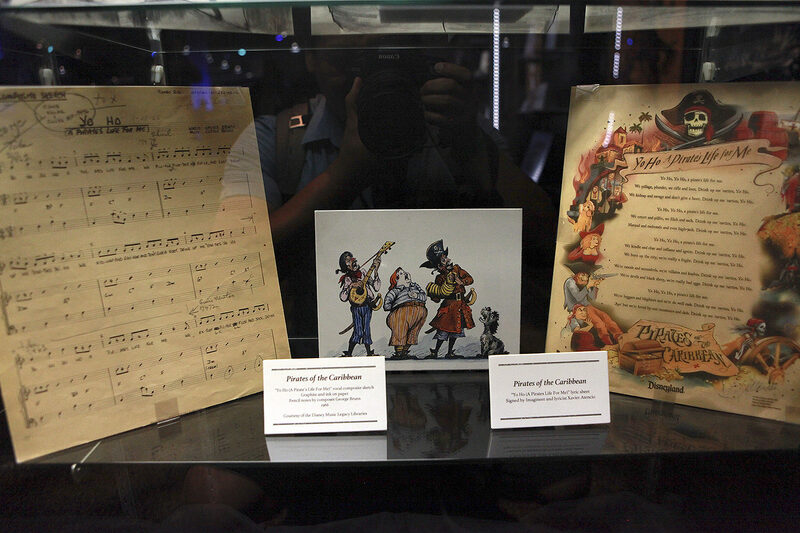 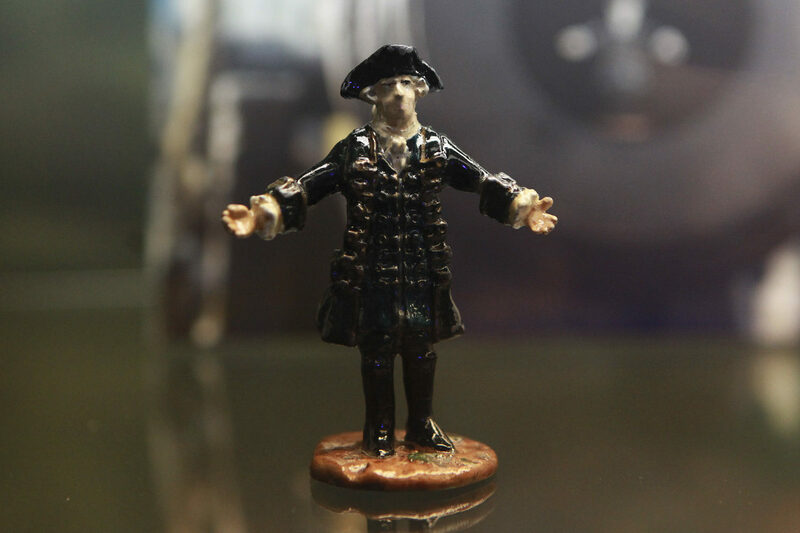 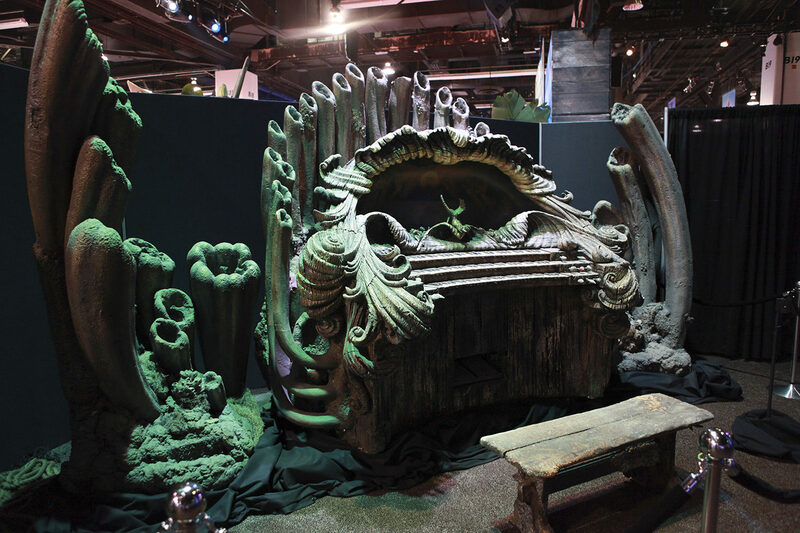 The rest of the exhibit is devoted to the five film franchise of Pirates of the Caribbean. 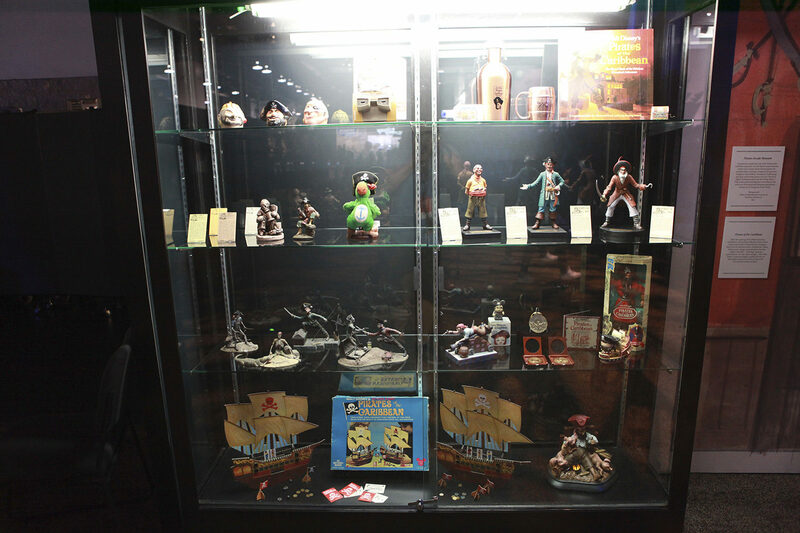 Obviously there’s a whole lot more than what we’re showing you! 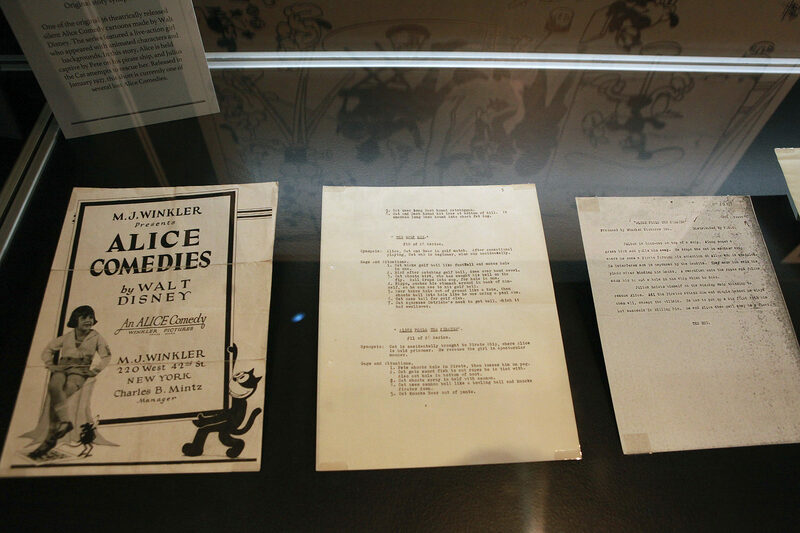 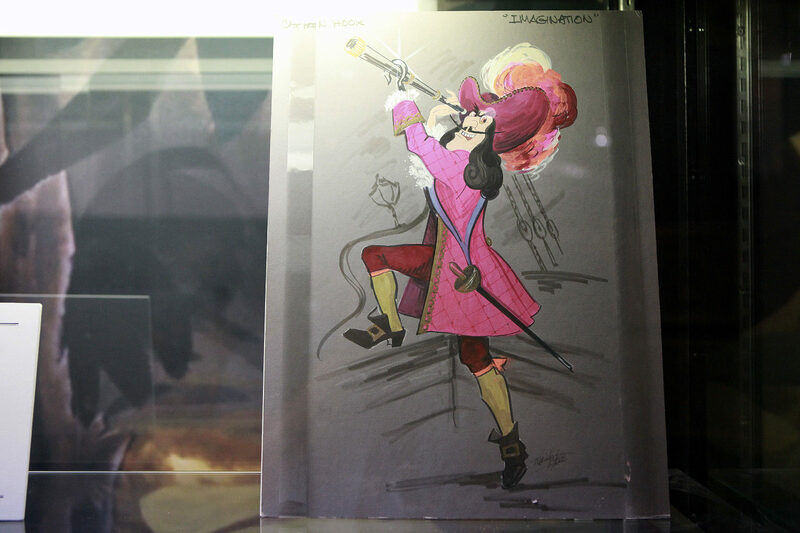 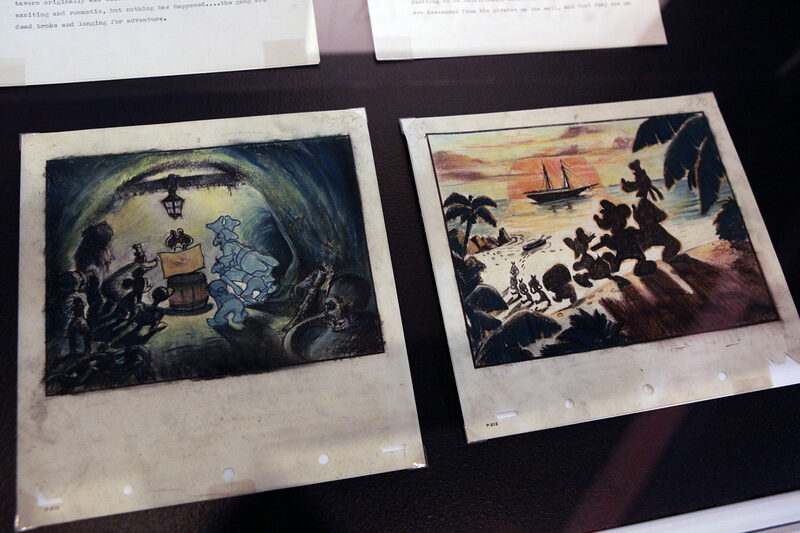 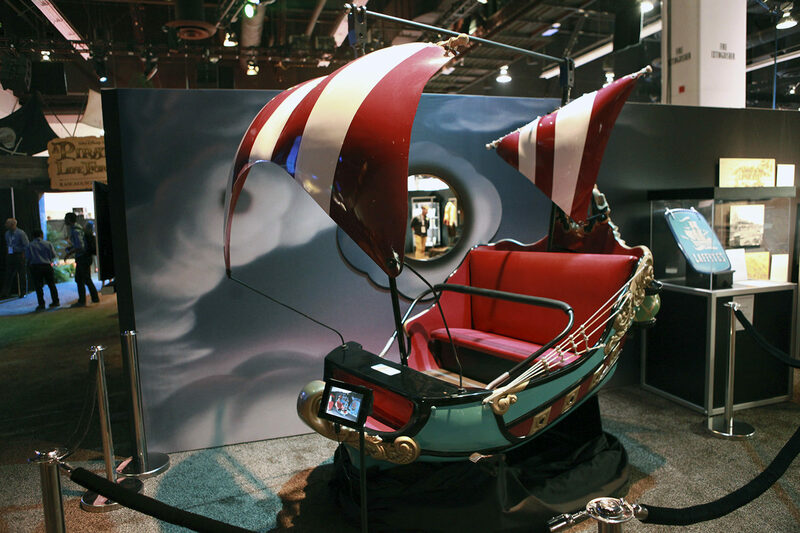 We hope you enjoyed our tour of the Walt Disney Archives at D23 Expo! 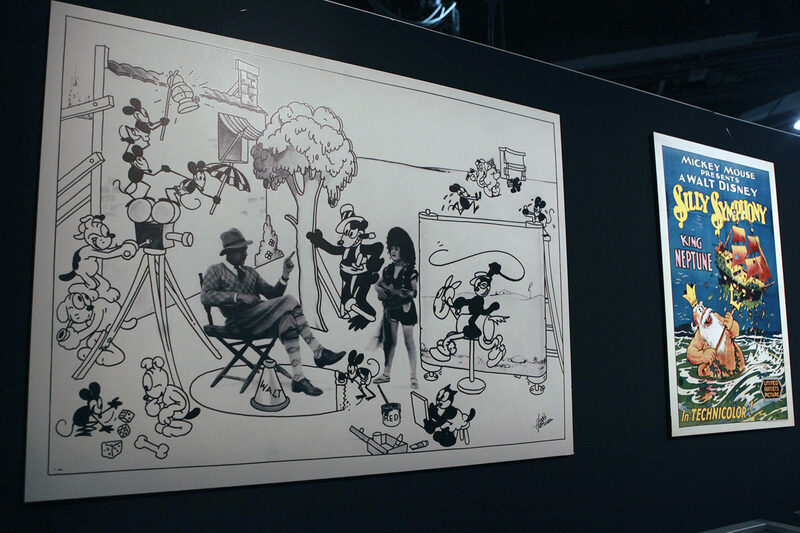 For even more behind the scenes look at this exhibit, check out the video from Disney Parks Blog below!